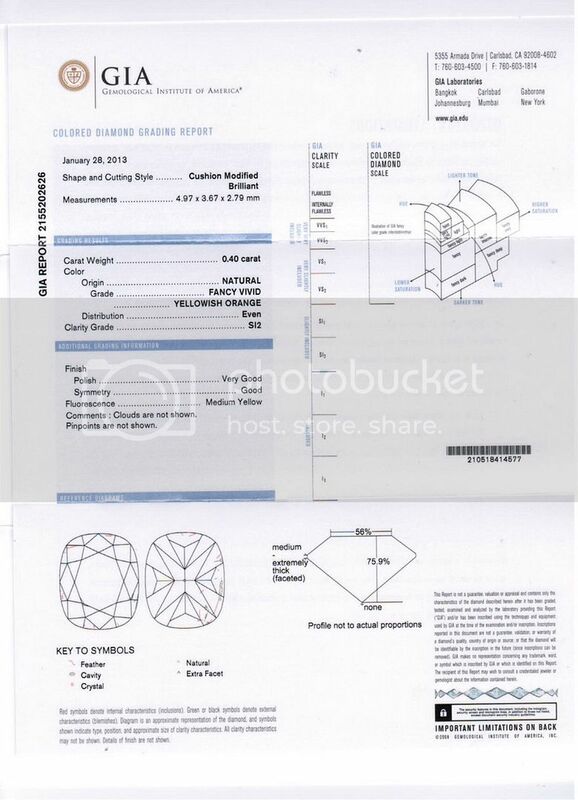 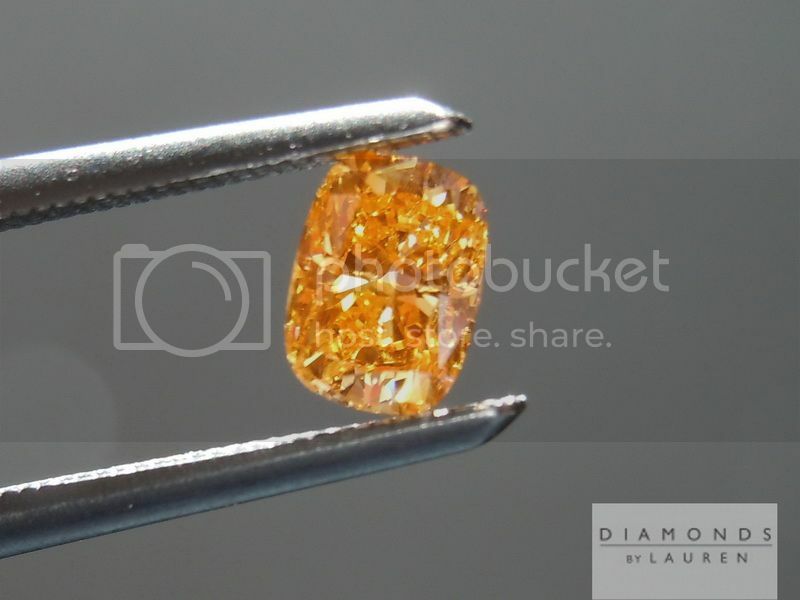 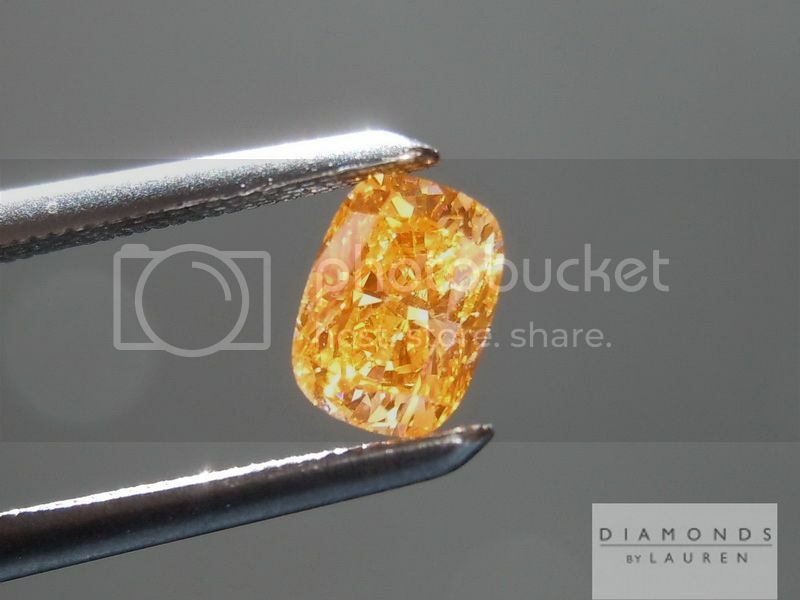 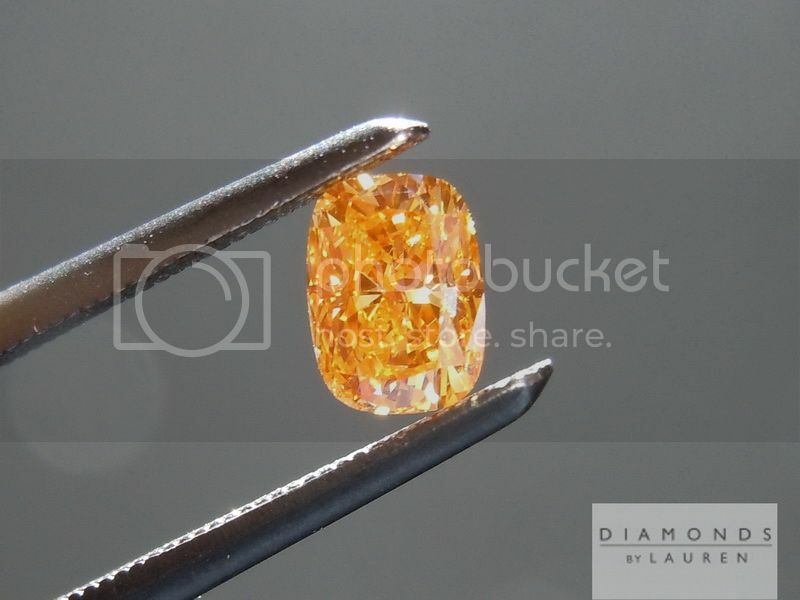 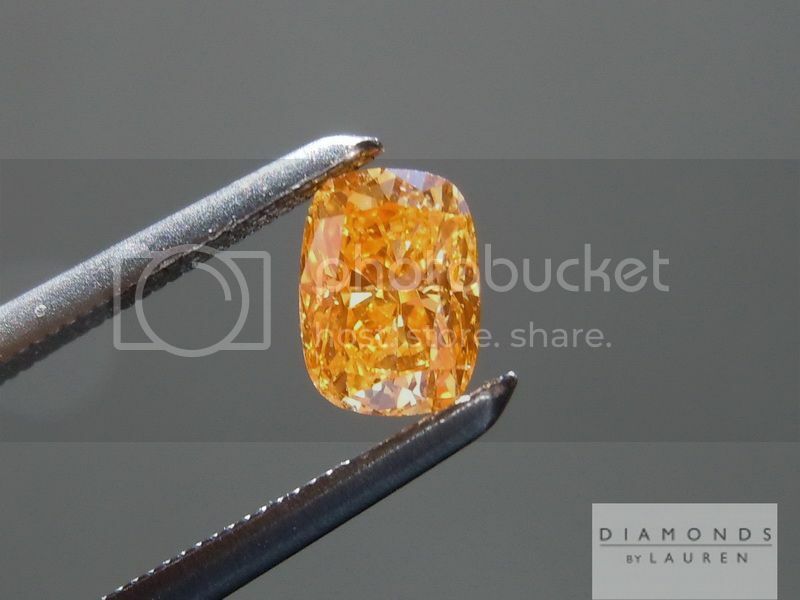 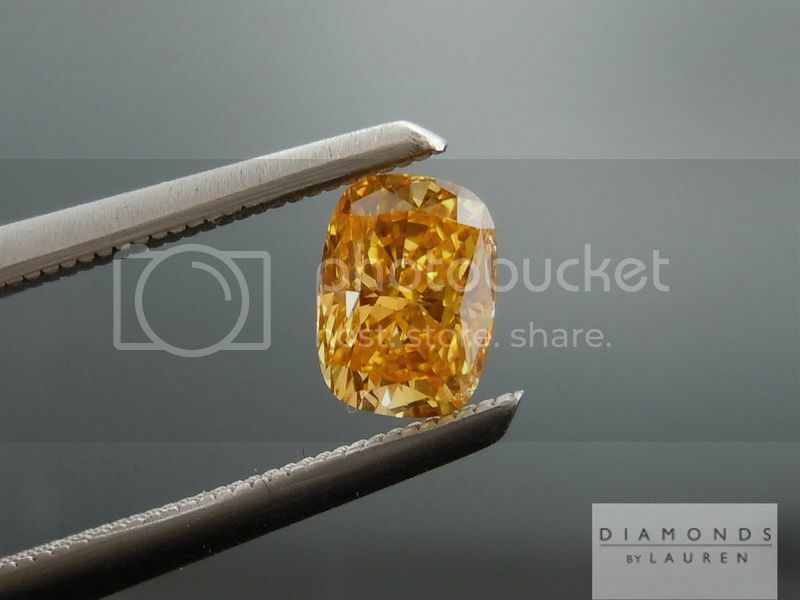 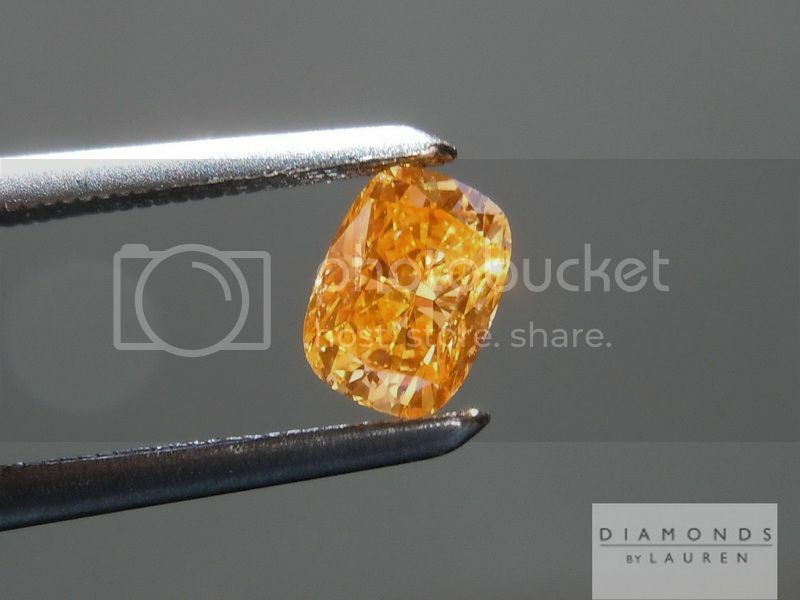 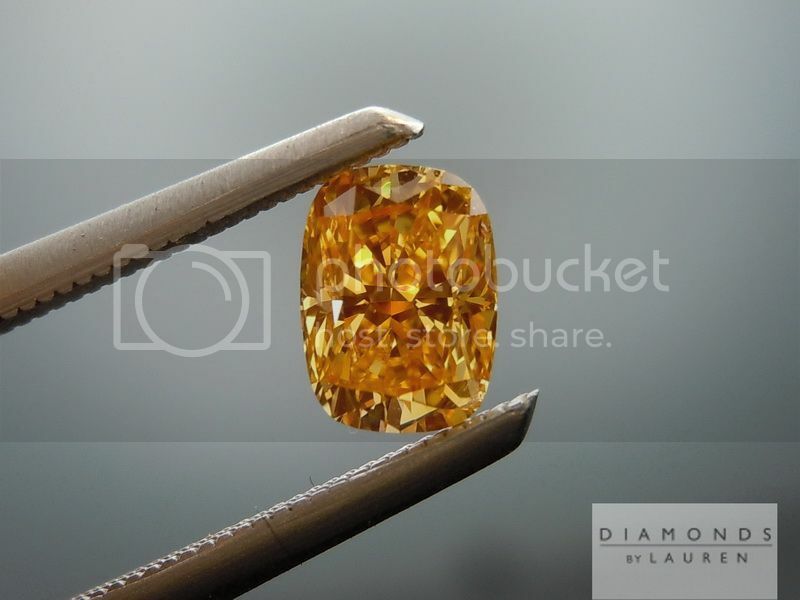 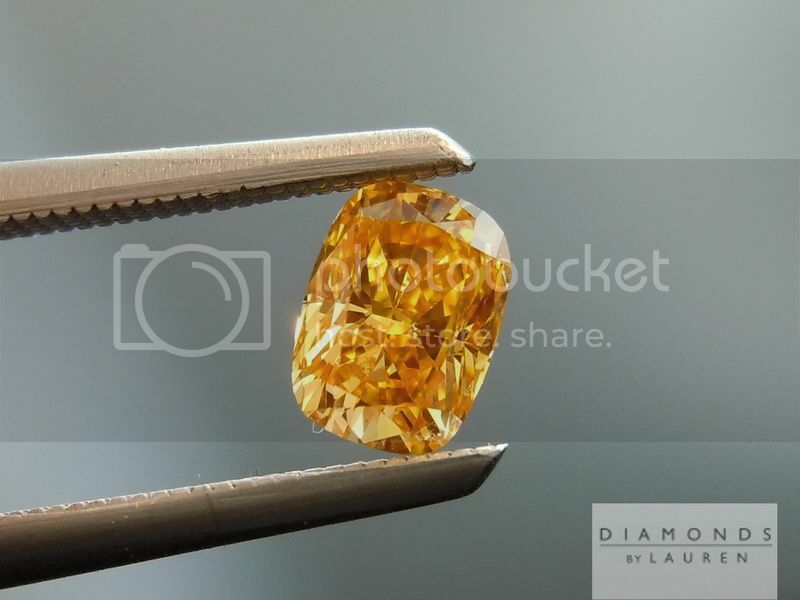 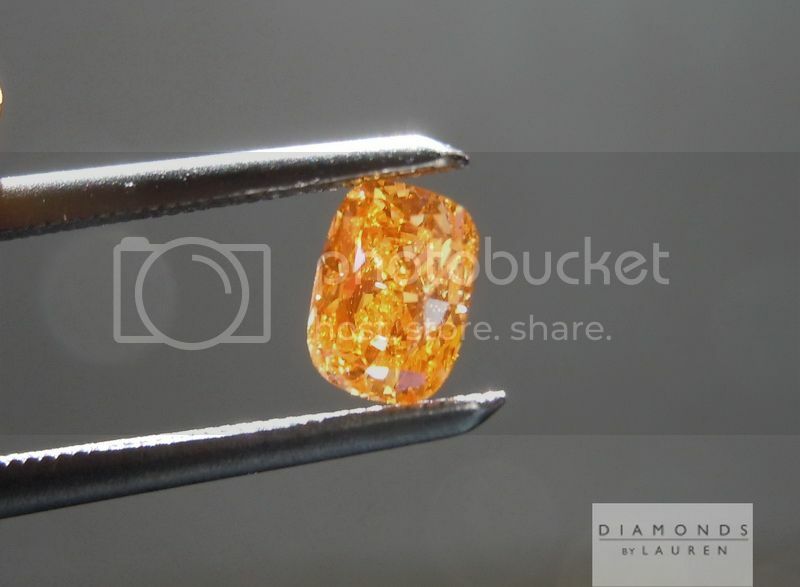 Orange is one of the more rare colors in natural diamonds, and this is a sweet Natural Orange Diamond. 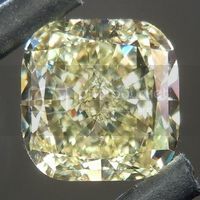 The intensity of this color? 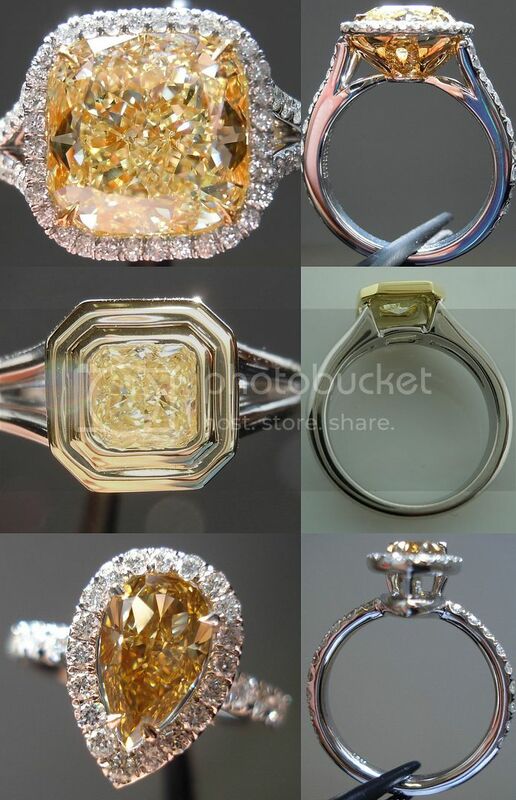 Well... it’s vivid - at least that’s what GIA calls it - and I agree (no big surprise). 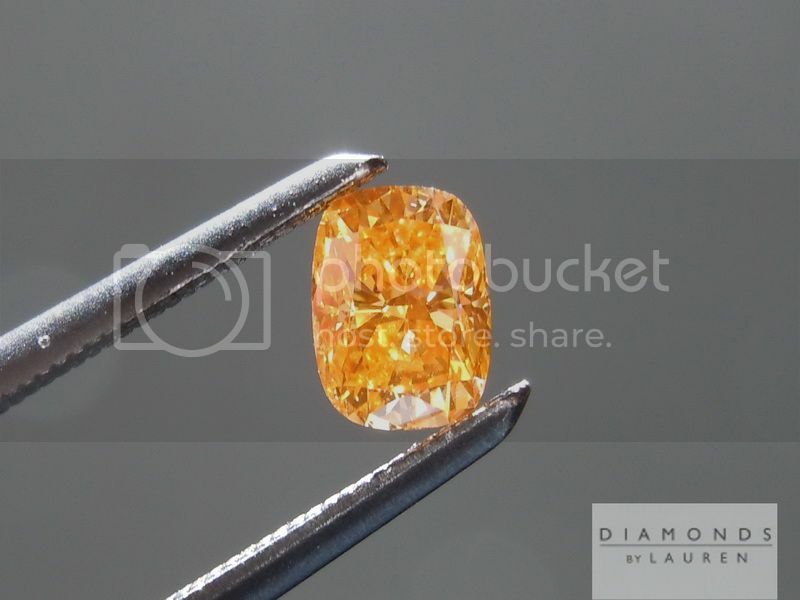 The SI2 is something you’ll never ever see, unless you use a loupe and even then, it’s hard to find. 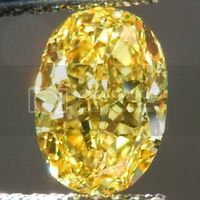 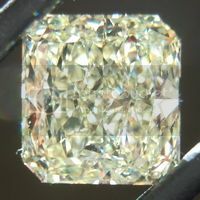 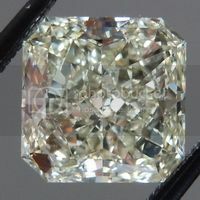 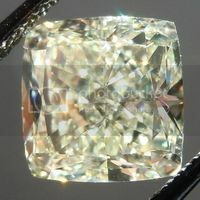 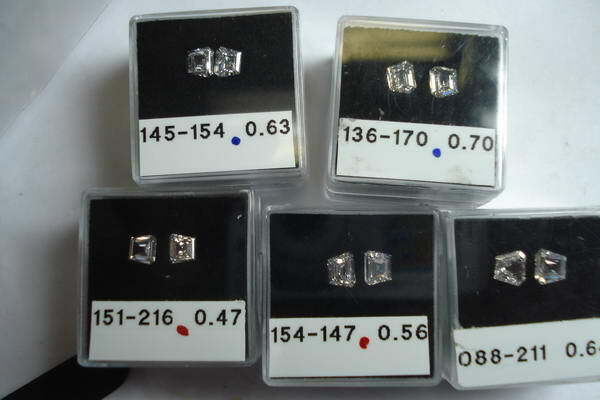 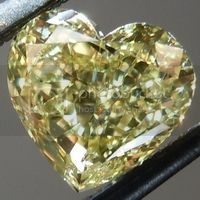 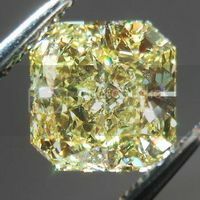 Stones of the .40ct size are quite a bit less than half carat stones of the same color grade - making this a bargain vivid diamond. 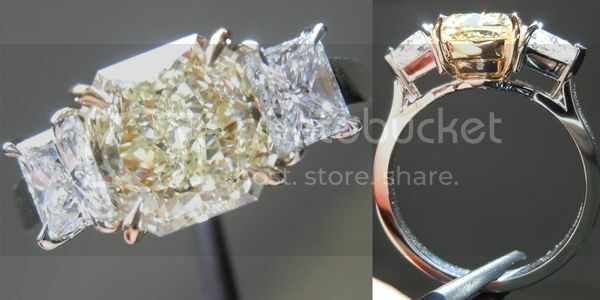 It’s big enough to make quite a splash in one of our double halo rings.